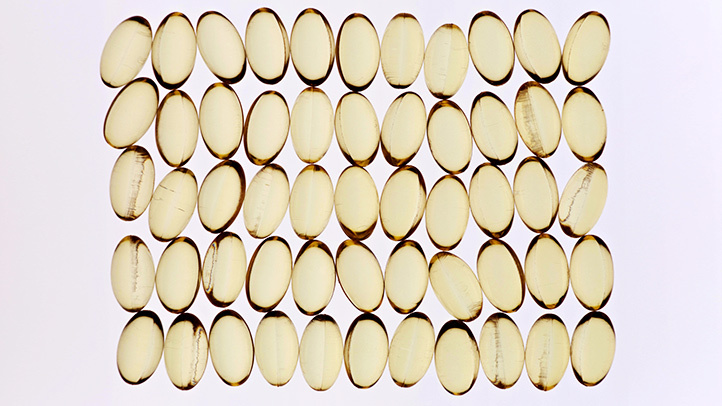 Do You Really Need That Vitamin D Supplement? Vitamin D has been called the nutrient of the decade, and the steady stream of headlines dedicated to it have some people popping supplements like candy. Experts who don’t push high doses of vitamin D — or any of the latest nutrients du jour — are often accused of being behind the times. But I see them as ahead of the times. They’ve learned from past mistakes surrounding overhyped antioxidants and vitamins, and are cautious with their recommendations. It’s tempting to think that vitamin D, or another nutrient, might be a cure-all for everything that ails us, but history suggests otherwise — and science has taught us to remain skeptical until research shows us the money. One major research review found that vitamin D has now been studied in relation to at least 137 unique diseases and health outcomes, including bone health, heart disease, cancer, type 2 diabetes, arthritis, infections, mental illnesses, and dementia. And the early research was promising in many cases: Observational studies have found that people with lower blood levels of vitamin D have a higher risk of developing these and a litany of other conditions. But what if we turn out to be wrong about most of vitamin D’s purported benefits? It certainly wouldn’t be the first time enthusiasm surged ahead of science in the medical community and the general public, as the following examples attest. Vitamin E. In the 1990s, excitement grew when researchers observed that high intake of vitamin E, an antioxidant, might protect against heart disease and certain cancers. But when scientists tested vitamin E supplements in clinical trials, they didn’t find a heart health benefit. To the contrary, some studies showed that taking high doses in pill form slightly increased participants’ overall risk of dying. In the SELECT trial, which was designed to see if vitamin E could help prevent prostate cancer, taking a daily supplement was actually linked to a higher rate of cases. B Vitamins. Around the same time, interest in two closely-related B vitamins — folic acid and B12 — also started to peak. These two B vitamins play key roles in metabolism of a compound called homocysteine, and researchers noted that people with high levels of homocysteine in their blood had a greater risk of heart disease and stroke. So when scientists assigned people to take B vitamin supplements in several large randomized trials, participants’ homocysteine levels dropped as hypothesized. But the lower homocysteine levels didn’t translate to fewer heart attacks and strokes among vitamin takers. Folic acid and vitamin B12 supplement pills also largely struck out when tested as a treatment for cognitive decline and dementia in older adults. Fish oil. More recently, we’ve seen a similar trajectory with fish oil supplements. Initially, observational studies found that people who had high levels of the omega-3 fatty acids DHA and EPA — or were frequent consumers of fish, the most concentrated source of these fats — were less likely to develop heart disease or suffer stroke. But a 2012 meta-analysis of 14 clinical trials firmly concluded that fish oil supplements didn’t help prevent a second cardiovascular event in people who already had heart disease. As you can tell, research on many supplements has followed a consistent pattern, and we’re now at a turning point when it comes to vitamin D’s health effects. While observational studies suggest disease-fighting benefits, these types of studies don’t show a cause-and-effect link, and most clinical trials testing supplements have come up short. According to a thorough 2014 review in The Lancet, there is no evidence from randomized studies that taking extra vitamin D protects against heart disease, stroke, or cancer in healthy people, or improves blood sugar control in people with diabetes. But a few of the studies showed a small but significant reduction in death from any cause. In another review, published in 2014 in the journal BMJ, only 23 percent of meta-analyses, which combine results from multiple trials, reported positive findings, and the majority of these related to short-term health outcomes — such as bone density or muscle strength — rather than disease. Low Vitamin D: Symptom or Cause? The authors of The Lancet review and other researchers have suggested that vitamin D may simply be a health marker. People who are older and sicker are less likely to eat a balanced diet and spend time outdoors synthesizing vitamin D, and thus have lower blood levels of the vitamin. In addition, people with acute or chronic illnesses often have inflammation, which may cause a decline in D levels. In other words, vitamin D deficiency may be a symptom, rather than a cause, of certain diseases. The next five years will be telling, as there are a handful of large, well-designed randomized studies underway, with results expected by 2020. This includes the much-anticipated VITAL trial, a Harvard University study testing whether a moderately high daily dose of vitamin D — 2,000 international units (IU) — can reduce the risk of heart disease, stroke, or cancer in healthy older adults. Other studies are looking at whether vitamin D supplements could reduce the incidence of diabetes or increase longevity. So what’s a person to do in the meantime? Until more evidence emerges, I recommend being conservative and thoughtful with vitamin D supplementation. The Institute of Medicine (IOM) concluded in a 2010 report that daily intake of 600 IU of vitamin D allows the vast majority of children and adults ages 1 to 70 to maintain levels corresponding to a blood level of 20 nanograms/millileter (ng/ml) — adequate for preserving bone health. For adults over 70, the recommended intake bumps up to 800 IU. The IOM based its recommendations exclusively on studies examining vitamin D’s role in bone maintenance because the organization determined there was insufficient evidence related to heart disease, cancer, and other health outcomes. I always encourage people to turn to food first to meet their nutrient needs, but because it’s difficult to get enough vitamin D from food (it takes six cups of fortified milk to get 600 IU) — and many people wisely limit their sun exposure — it may make sense to take a supplement. Older adults, especially those in long-term care facilities, are among the groups that may benefit most from a daily vitamin D supplement. If you choose to take vitamin D, I recommend talking to your doctor about an appropriate dose, and whether your blood levels should be tested. While I personally advise moderate doses until more conclusive research on vitamin D is published, if you opt to take higher amounts, don’t exceed the IOM’s tolerable upper limit of 4,000 IU for adults. Daily doses above this ceiling may have adverse effects on kidney function, and blood levels above 60 ng/ml have been associated with higher risk for certain cancers and other health problems.